Our visit to the National Memorial, a memorial to the named and unnamed victims of lynching, began in the rain. 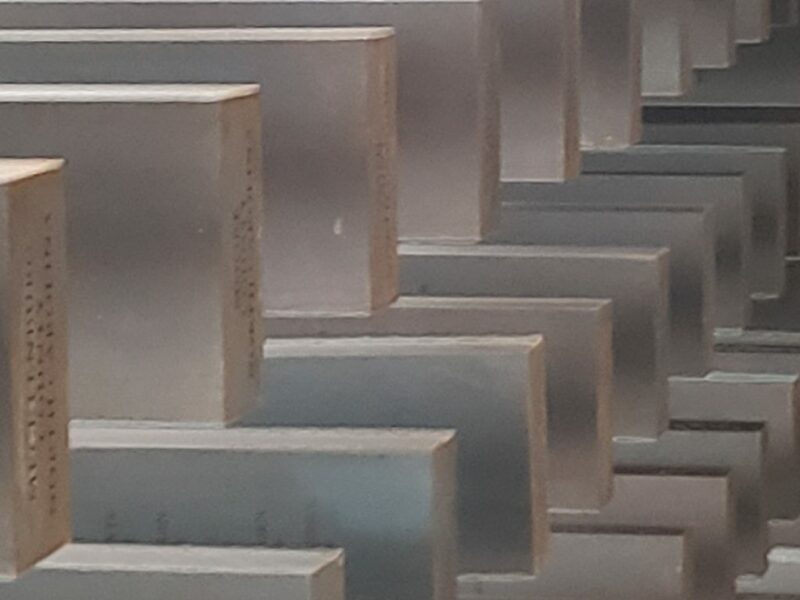 We toured the grounds and looked at row upon row of rectangular steel blocks inscribed with the names of victims in each county in which a lynching took place. We walked a winding path through the field of blocks, suspended in the air and clearly marked with the names of men women and children lynched. Some counties had 1 victim, others with a dozen or so. Counties ranged from the deep southern states of Texas, Alabama, Mississippi, South Carolina, North Carolina, Florida, Virginia, Tennessee, Georgia, Kentucky, Louisiana, and Arkansas to the Midwest.